We are Leading Manufacturer and Exporter of Starlet Torch Kit System. 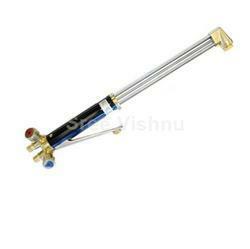 Welding Gas Cutter gives reliable performance and is perfectly applicable for oxygen & LPG or da gas cutting. We are engaged in offering a high quality of Abicor Binzel Torch. These products are highly demanded by our clients. Being a leading enterprise of this industry, we are offering a huge range of MESSER Profi Cutting Torch. We are a emerging Supplier of Messer Cutting Torch. 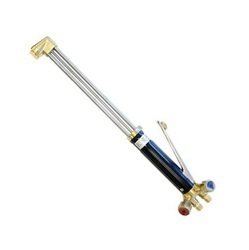 We offer superior quality Cutting Torch that can be used with any kind of fuel. These Cutting Torches are extensively used for heavy duty cutting and scarping operations in workshops. Nozzle-mixing technology makes these torches resistant to back fires and ensure economical gas consumption.